Chick Corea first laid eyes on New York’s Greenwich Village in 1959, fresh from high school, with a head full of music that only he could have imagined. 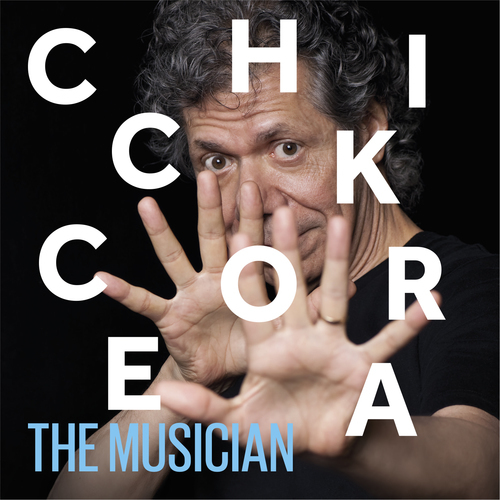 With this new release The Musician, recorded in the epicenter of Chick’s original NYC haunts and more than 50 years later, Corea finally brings all that music together at once. The new live 3-CD and Blu-ray set captures Corea’s 70th birthday celebration at the famed Blue Note Jazz Club in 2011, where he assembled a staggering lineup of musical friends and fellow-travelers – among them Herbie Hancock, Bobby McFerrin, Wynton Marsalis, John McLaughlin and Stanley Clarke – for a month-long residency featuring 10 different bands, including triumphal sets by his own Chick Corea Elektric Band and Return to Forever. All of it is captured brilliantly in the first feature-length documentary on Corea’s life, music and genius musical partners. The film takes you inside the heads and “hangs” of some of the greatest artists of our time – backstage and personal – and the CDs capture almost four hours of live recordings of every band. The deluxe hardcover edition, including the film on Blu-ray, in addition to the 3 CDs, an essay by Robin D. G. Kelley and exclusive photos, will be available from Concord Jazz on April 21, 2017, as well as a 3-CD edition. A 3-LP edition on 180-gram vinyl is planned for June 2. The CDs capture the music with Corea’s characteristic thrilling live sound, and the documentary goes even further: with total access to Chick’s creative process, the film features live footage, but also rehearsals, backstage hangs and candid interviews with the musicians. Everything that goes into making music at this level – the hours of practice, rehearsals, gear moving in and out – is in full view. The Musician shows Corea welcoming his 70th year with friends and thousands of fans. Now, five years later, he shows no sign of slowing down. He continues to look forward to more tours, more gigs, and more sessions.